Thanks for permission to use your vector and make this wallpaper. 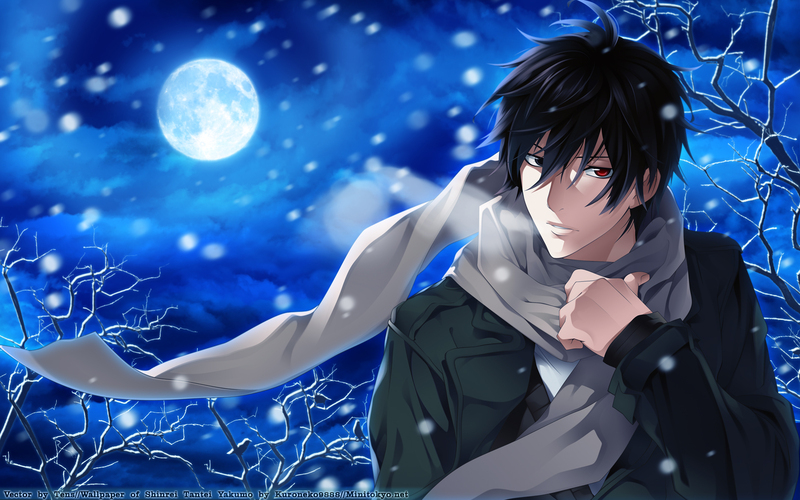 For background, I used brushes with clouds, moons and soft basic photosop, personally I like the blue color of the night and so I like to make wallpaper in those colors, I added a detail that was steam coming out of Yakumo mouth makes breathing; to give him more realism and a look of winter. It look really nice.. Just wish the sky is darker blue. Thank you for your very pretty picture. Wonderful work! The character fits in well with the background and the atmosphere is most befitting for his stature. The wallpaper is beautifully crafted!